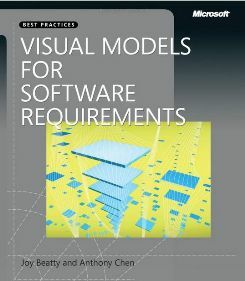 Visual Models for Software Requirements by Joy Beatty and Anthony Chen describes many types of diagrams useful for representing requirements information visually. Each chapter describes the notations used for a specific type of model, presents a template and an example, and provides guidance about how to create one. 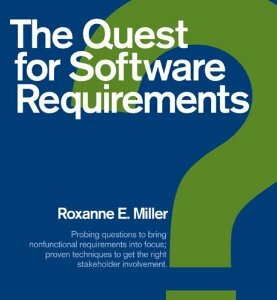 The Quest for Software Requirements by Roxanne E. Miller is devoted to quality attribute requirements. For 14 types of quality attributes, Roxanne provides thorough definitions, numerous examples, and a wealth of questions that a BA can use to understand customers' often-unstated expectations about usability, security, reliability, and many other characteristics. Mike Cohn is the expert on applying user stories as a lightweight approach to requirements on agile projects. User Stories Applied is a sensible and pragmatic treatment of this widely used technique. 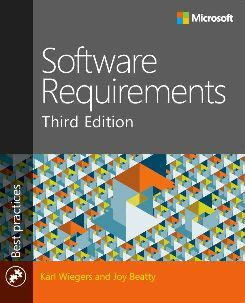 Use Cases: Requirements in Context, 2nd Edition by Daryl Kulak and Eamonn Guiney presents an iterative approach to developing use cases, a powerful requirements technique. It contains many useful examples of use cases and use case models and lots of good suggestions about how to write use cases. It's the most pragmatic book available on this topic. This third edition of A Guide to the Business Analysis Body of Knowledge (BABOK) represents an established standard of practice for business analysts. It goes beyond software requirements topics to cover many other activities that BAs perform in organizations. It also serves as the foundation for the CBAP certification from the IIBA. Barbara Carkenord's Seven Steps to Mastering Business Analysis is one of the most popular books in the BA space. It maps the techniques discussed to competencies described in the Business Analysis Body of Knowledge. Laura Brandenburg has done a lot to help people transition into the business analysis profession. In How to Start a Business Analyst Career she can help you bridge that gap, with extensive information about the BA role, what the job is really like, career planning, and how you can get there from here. 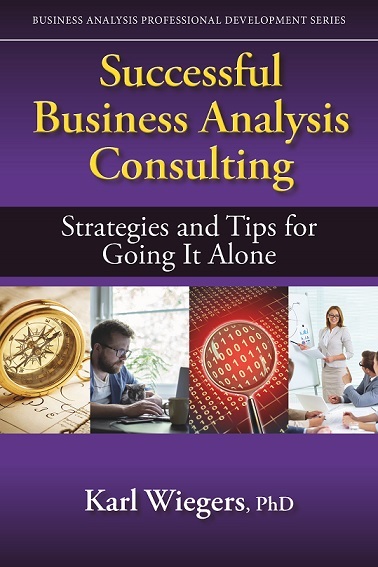 In Business Analysis: Best Practices for Success, Steven Blais describes the myriad roles a BA might perform in an organization and how BAs add value through defining business problems, assessing the business case, determining solutions, and confirming the business problem has been solved. In The Business Analyst's Handbook Howard Podeswa provides a comprehensive reference manual for the working BA. It presents a variety of tools, checklists, templates, and other aids to assist the BA in performing this complex and challenging role. 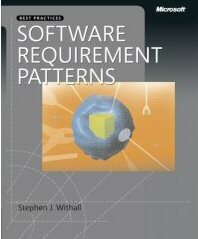 Software Requirement Patterns by Stephen Withall communicates a wealth of wisdom for writing excellent requirements of many types. The requirement patterns encompass comprehensive, structured knowledge about different types of requirements and they are broadly applicable to nearly any project. 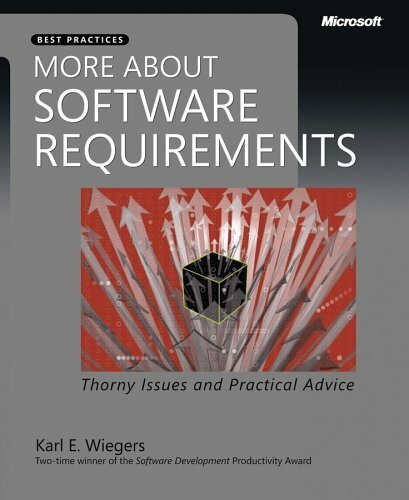 This book contains hundreds of practical tips for specifying better requirements. 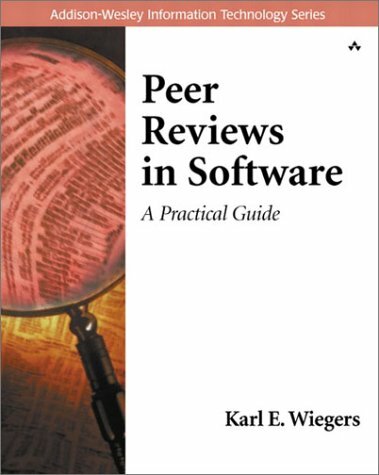 Peer Reviews in Software: A Practical Guide by Karl E. Wiegers presents clear and pragmatic descriptions of both the technical and cultural aspects of the inspection process and other types of peer reviews. It also addresses inspection metrics and the practicalities of implementing a peer review program. 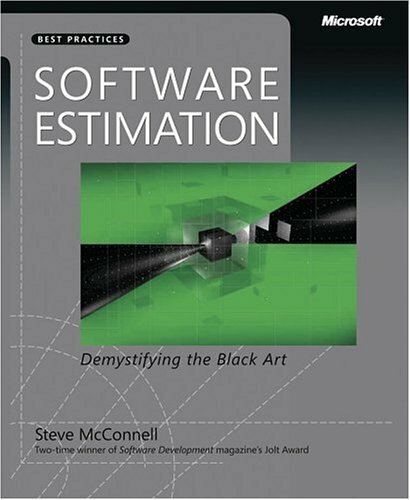 more information Software Estimation: Demystifying the Black Art by Steve McConnell is the definitive book on one of the most difficult aspects of software development.In his usual highly readable and practical style, this book presents a wealth of techniques that can help both practitioners and project managers do a better -- although of course never perfect -- job of estimating the size, effort, and time needed for their next chunk of work. 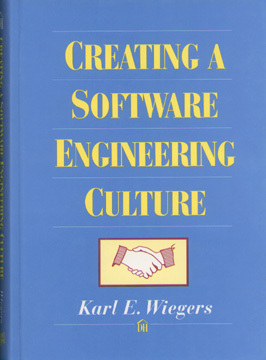 Creating a Software Engineering Culture by Karl E. Wiegers includes principles and practices on effective leadership, requirements, process improvement, software quality, measurement, and other topics that can help you build a healthy culture in your software development group. more information Project Retrospectives: A Handbook for Team Reviews by Norman L. Kerth is an excellent guide for anyone who wishes to gather insights from a past project. 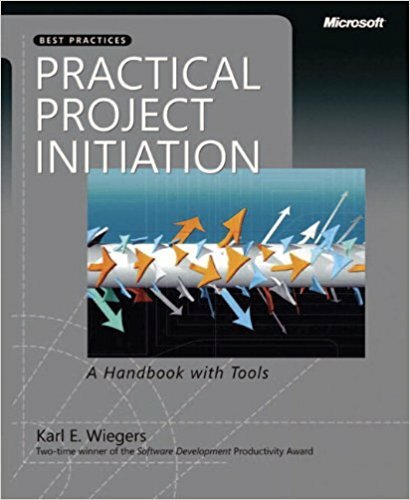 The book is very easy to read and is loaded with practical techniques for these essential project activities. Retrospectives are a great way to improve the success of future projects.